Certified Counselors. Companies should be help customers not only consolidate their debts, but help them secure a better financial future. International Organization for Standardization (ISO): A certification from ISO adds credibility to a company’s service and demonstrates that the company is up to industry standards. The Association of independent Consumer Credit Counseling Agencies (AICCCA): This is the largest association credit counseling companies can be a part of. The organization ensures their members follow high standards and provide particular services. National Foundation for Credit Counseling (NFCC): Members of NFCC provide education for the public and a number of free services related to finances. Many companies claim to lower interest rates for customers when they consolidate their loans. However, customers won’t know how much they are actually lower their interest rates until they fully examined their case. We look at companies and see how they are able to achieve lower interest rates for their customers. The obvious reason people go into debt in the first place is because they spend too much money that they don’t have. The last thing they should be doing is paying a bunch more money to try and get out of debt. 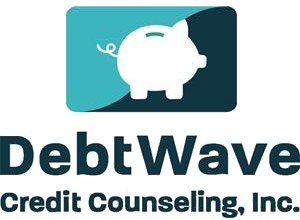 A debt relief company that won’t charge customers too much is one that we feel good about recommending. While a great company does a lot of work for their customers, they also won’t charge more than they need to for services performed. The more a company is willing to provide upfront, the better. We reward companies that extend their services to more people. One of the easiest ways to do this is offer consolidation programs in all U.S. states. Debt Consolidation companies are judged based on the number of states they opperate out of. Up-front fees can be an unnecessary added burden to individuals that are trying to get out of debt. Some companies may find it hard to avoid upfront fees, considering the amount of work that goes into service in the beginning. Companies that charge up-front aren’t necessarily bad, but it’s always a promising sign when a company can charge little or nothing when they first get started. Experience in the industry and multiple surveys have taught us that people trust companies that have been in business for longer than a year or two. This isn’t the only determining factor in trust, but it is an important one. A company that has been around for a while shows that they have been able to weather storms that have come their way and that it is very likely that they will be around to serve customers for years to come. Many companies and individuals have mixed feelings about the Better Business Bureau and in a number of cases these feelings are justified. Some ratings seem a bit odd and unfounded. However, we feel that overall a BBB rating is a great starting point for people when trying to determine the trustworthiness and viability of a business. 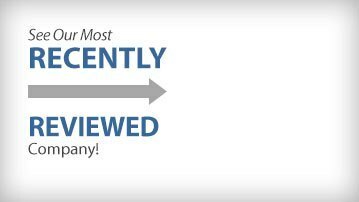 These ratings can provide excellent insight into how a business deals with consumers and the efforts they make to insure that both past and current customers are happy. We want to make sure that customers have a say in our rankings. They’ve had real world experiences with these business and we think it’s very important that they have the ability to tell other people about it. If you’ve had an experience with any of the companies we’ve reviewed, let us know in the comments section on their review page. Along with the criteria points above and the user reviews, we take into account various other factors that help to determine the viability, longevity and trustworthiness of businesses that we rank and review on our site. Company size, company leaders, transparency and more play a part in our expert review criteria.